One of the trickiest categories of shoes to find barefoot-compliant is the women’s dress shoe. As someone who doesn’t want to compromise on style OR foot health, this has been the area I’ve spent the most time researching. Here is my compilation of shoes you can wear to work or a night out, but are still completely flat, flexible and with a roomy toe box. Some of these I have tried and reviewed, but many of them I have not personally worn, so any feedback is appreciated. Also, remember to do your diligence before ordering to be sure they fit your needs. The Drifter Leather – Again, many options! 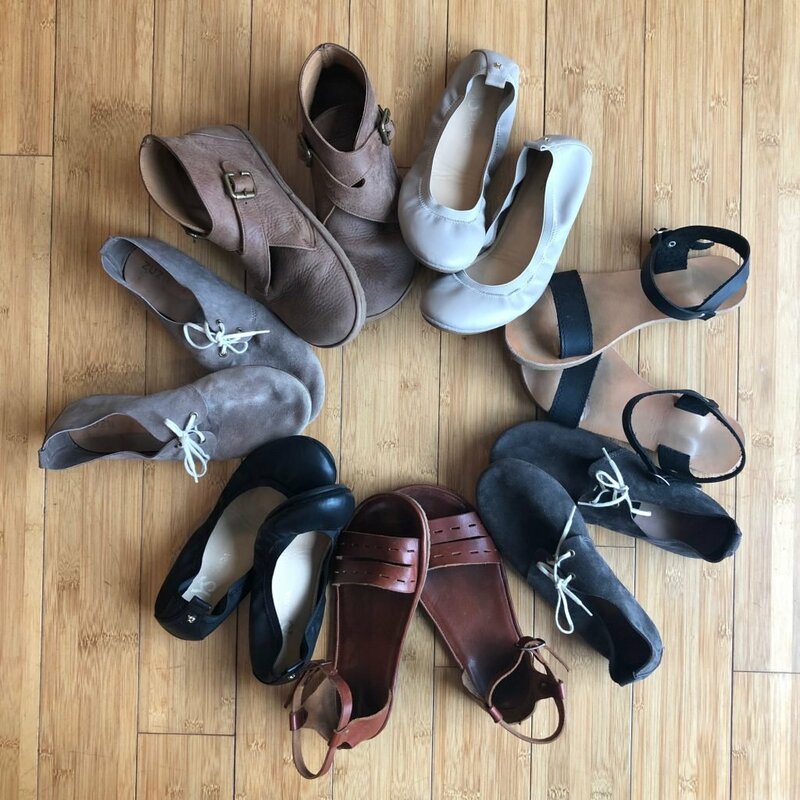 Oesh Dream Flats – These have more cushion than is typical for barefoot shoes, but they have great reviews and are very cute (look like Rothy’s, but without the tight toe box and heel. I tried Rothy’s and sent them back). Crupon flats – request Vibram/zero drop sole. No returns/exchanges. See my review here. Lisbeth Joe – Available for purchase on Indiegogo here! 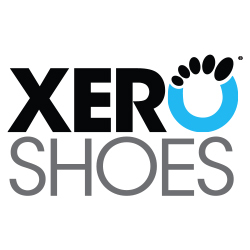 Xero Shoes Cassie Flat – Brand new and on sale for $60! Yosi Samara (available for cheaper here and here) – This is what I’ve worn for years. The toe box kind of bothers me after walking a while, but they are zero drop and roomy, with a split sole. Also, more affordable than many barefoot ballet flats. The Storehouse Flats – This is a small business (which I love) and their flats look quite promising, but I haven’t tried them out myself. They only are available for preorder once a month, and then it’s 4-6 weeks before they ship. Crane Boutique – I’ve also owned these, they have a roomy toe box and are flat and flexible. I sold mine because they pressed down over the tops of my toes and didn’t stretch. Tieks – I thought I better put these on here because they are on KB’s shoe list here, but I am personally not a fan. The toe box is SO TIGHT and the sole is very thick (though it does bend in half). There is zero ground feel. I like to toe the line with my shoes when it comes to fashion, but these were not even close to being comfortable. Zuzii Sandals – These are zero drop and flexible, but the straps that go over the ball of the foot are quite narrow and too painful for me. Please could you tell me what the ankle boots in the bottom left of the picture are with the buckles on? Thanks! They are the Crossroads Buckle Boots from the Drifter Leather! They’re currently not on their site but should be reintroduced again in February (they’re reworking the design). Thank you so much for putting together this blog! It’s so hard to find minimalist shoes that look good. Loving your reviews and round ups, please keep up the good work! Thank you very much for this! I kind of put the HerHis shop on the back burner of my mind because I felt like I needed to do more research to be sure they actually belonged on this list, so I really appreciate the feedback! What are the light brown ankle boots with the cross strap in the picture above? They are Drifter Leather boots. They aren’t currently on their site because they are reworking the design and will be reintroducing them this month. I have more pics and details about them in my instagram feed! Hello! Can you tell me what the black sandals at the top of the picture are? They’re so cute! Yes! They are from an Etsy shop called Leatherhood. The etsy shops Grecian sandals and Kiona sandals all make very similar sandals and can be made zero drop if you request no heel. Anya, you have provided me with the most extensive listing of minimalist shoes! I finally found an actual shoe that’s not for running!